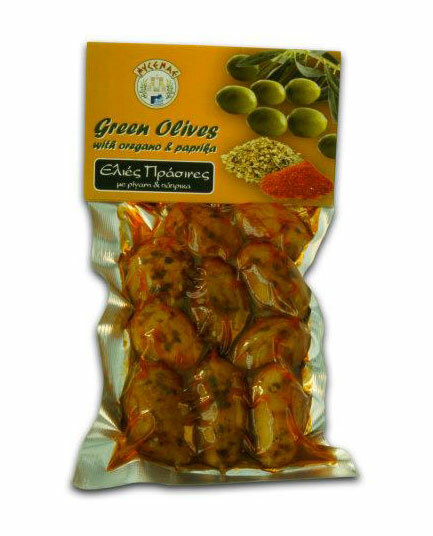 GREEN OLIVES WITH OREGANO & PAPRICA 100gr. Tasty green olives marinated with oregano and paprika. Research into the nutritional value of olives, confirmed the beneficial effects on human health. 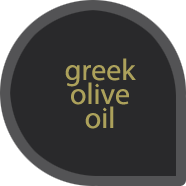 The olive provides fiber and minerals for the body and is a source of vitamin E, a natural antioxidant. 100gr.